What is frequency matching? In its best aspect it is like being an empath, who can resonate with you and thusly knows your emotions and feel your bodily pain and can help thereby with healing you. OR it is a very gifted psychopath that makes you feel like nobody - nobody - has ever understood (grokked) you the way they have. They frequency match your expressions, your body language - posture, breathing, vocal tone - your beliefs, your needs so they can fill them like magic without you ever asking and they become your Soul Mate! These all could be doorways of perception to any realm, both higher and lower than 3D reality. Because 'reality' - the one they like to keep us all confined in, is just a frequency! This could happen because any nonphysical intelligence can easily manipulate the human mind due to the psychological training we have had and because they exist outside of what we call visible light. Thoughts are things - meaning they have a vibratory frequency. So do our personalities - the part of us that manifest in the here and now on this planet. A more complex frequency like a chord, instead of a note, but it is a singular combination of 'noise' that is you. This frequency is out of the range of our ears and undecodeable by 3D people awareness. Instead, we "see" each other. 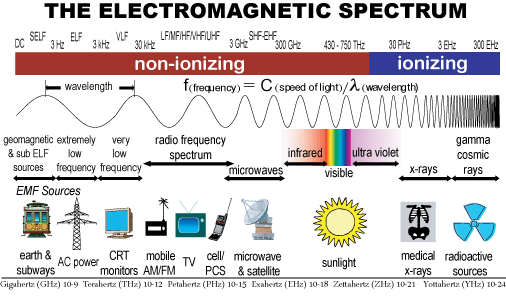 However it is all part of what we call the Electromagnetic Field, EMF. We are aware of many frequencies in many different ways. There are all the frequencies of the synapses in the brain along with the sensory mechanisms of the peripheral nerves ( the ones you use for touch) and that whole range of perception. We have the capabilities - that much is obvious, but we have been curiously trained NOT to pay attention to them. What if awareness of multiple densities is a natural state for humans? Have you ever wondered just how much of a psy-op we are really dealing with - if any of these manifestations could be/are a distraction from reality, an endless tail chaser?? So that we never come upon what is really going on, or never decode the truth? Hybrids (as we know we all are) were made to be bi-dimensional /cross density beings used as a portal for non 3D identities to use at will - in this reality, should we give our permission to be used like this? So, what constitutes a portal doorway that these entities can use to come through to our frequency range and use us, or scare us and make us tastee-freeze ( a reference to the first soft serve ice cream franchise back in the 50's)? They can, some of them, manifest a portal - which is just a vortex of frequency held at a certain rate of vibration. Some need technology, they can't hold the frequency, others can create a sympathetic frequency like a carrier wave with their conscious awareness. We are TOTALLY unware of the hyperdimensional perspective behind earth's history - the intersection of dimensions that are right outside of our perceptive ability. The EATING of functioning units of consciousness by the negative hierarchy while the free will of the victim is STILL intact otherwise the 'food' is no good. And…. That damned EVP. The lower frequency sound at the end of it was a frequency address - a name, if you will, of an entity who can't get here from there but would like to, that vibrates the 'air' around where it is heard or tags a person who hears it with a resonance range that emits a call to it. Repeated listening to it is like a homing beacon. Hello - very funny…NOT. The reason the voice timber and quality was that of the women in the room who were speaking is because those waves were already there making it much easier to use a portion of them to create 'sound'. The women's voices were used as a carrier wave. We really have NO IDEA what we are messing with yet, but it is quite obvious that we ARE messing with something.